Cockroaches spread human disease by depositing disease organisms on food and utensils. The American cockroach, which comes into contact with human excrement in sewers or with pet droppings, may transmit bacteria that cause Salmonella and Shigella. German cockroaches are believed to be capable of transmitting disease-causing organisms such as Staphylococcus, hepatitis, and coliform bacteria. They also have been implicated in the spread of typhoid and dysentery. Recent studies have found a strong association between the presence of cockroaches and increases in the severity of asthma symptoms in individuals who are sensitive to cockroach allergens, especially children. 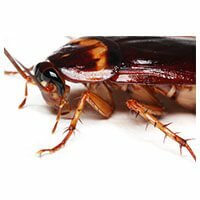 Cockroaches may become pests in homes, restaurants, hospitals, warehouses, offices, and virtually any structure that has food preparation or storage areas. 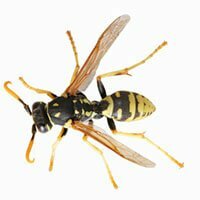 These pests are common even in the cleanest of crowded urban areas and older dwellings. It’s usually not difficult to discover an infestation, because they are often visible. Treatment usually involves sealing cracks and crevices to block entrance, keeping food and trash areas clean to avoid providing food, and the professional application of insecticide and bait on a regular basis. Rats, mice, squirrels and other rodents consume and contaminate food. They also gnaw on electrical wires and wooden structures, and tear insulation in walls and ceilings for nesting. 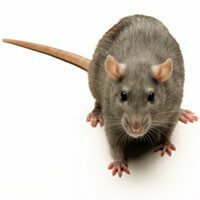 Rodents can also transmit disease to humans, pets, and livestock. They have been found to transmit typhus, leptospirosis, trichinosis, and salmonellosis. 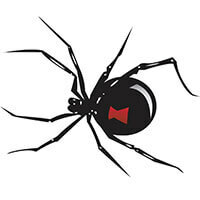 Except for poisonous spiders, such as the black widow and the brown recluse, spiders are not harmful to humans. When it’s important to control spiders, chemical control is used, along with destruction of webs and eggs. Since they feed on insects, measures that control unwanted insects will also reduce spider populations. Subterranean termites are extremely destructive. First they build tunnels to wooden structures, and then they burrow into those structures to obtain food. 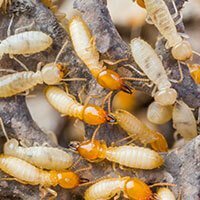 Any wood or cellulose-containing material constitutes termite food, and given time to do so, they’ll eat until nothing is left but a shell. Termites avoid light and air, so they build their colonies where you’re not likely to stumble upon them. A typical homeowner’s insurance policy does not cover destruction caused by termites, even though they cause over 1 billion dollars in damage to homes throughout the United States each year. Our inspection and treatment program can help you understand the threat of termites, and we will take the necessary steps to protect your home. Bed bugs are one of the great travelers of the world and are readily transported via luggage, clothing, bedding and furniture. Bed bugs have largely been thought of as being a problem of the past. The truth, however, is that bed bugs are making a strong comeback. One of the major reasons for such a strong reappearance is because of international travel. Bed bugs go into clothes and luggage and then are brought home. You could have picked them up from your hotel room or a traveling guest. 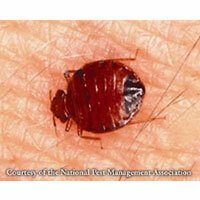 A bed bug does not actually live under your skin, but will simply drink a few drops of blood while you are sleeping. You cannot feel its bite, even though it is actually piercing the skin. Although some saliva will get into the bite, bed bugs are not known to pass on any diseases to humans. Bed bug bites often cause redness and some swelling. Approximately half of bed bug victims do not show any evidence of bites. The different species of bed bugs have different feeding preferences. Some prefer human blood while others prefer bats and birds. Bed bugs primarily reside in their target’s nests or nesting areas. This means your bed! While many bed bugs hide in mattresses, some may also hide in a sofa or chair, or behind wall paper or pictures. Thoroughness is the only real way to get rid of bed bugs. The eggs of the bed bugs are not visible to the naked eye and are clear in color. Every corner and crevice needs to be searched. As you might guess, this means that simply getting rid of an infected mattress will not totally solve the problem. These little blood suckers are about 3/8″ long and are visible to the naked eye. Amazingly, though, they are able to go a long time without any food if necessary; sometimes, as long as a year. When they are gorged with blood, the females will lay eggs – up to two hundred at a time. Since their reappearance, researchers have found that the new bed bugs are much more resistant to chemicals that have previously been in use. Insecticides that are often used for roaches and similar insects do not work on bed bugs, which is another reason they are at large again. If you think you might have an infestation of bed bugs, call now and let us help you quickly get rid of the problem. 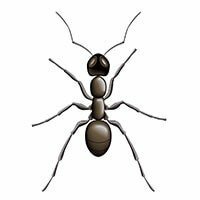 We know how to identify, reduce, and eliminate your infestation.